The Capital District Transportation Committee (CDTC) is the designated Metropolitan Planning Organization (MPO) for the Albany-Schenectady-Troy and Saratoga Springs metropolitan areas. CDTC's traffic safety initiative, Capital Coexist, has been providing bicycle and pedestrian safety resources and programs since 2009. 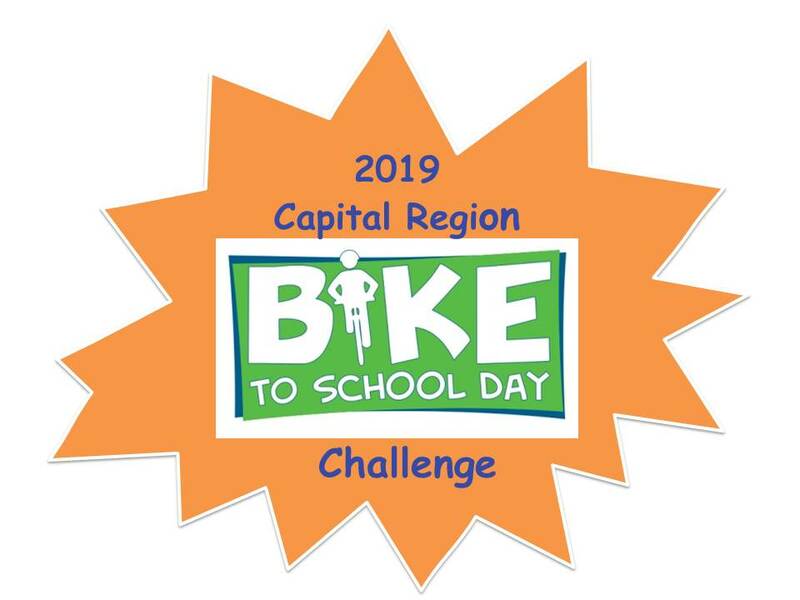 Bike to School Day is May 8th and the Capital District Transportation Committee is encouraging students around the Capital District to put their helmets and pedal to school. The school with the highest number of participating students will be awarded a trophy a/k/a "The Wheel of Knowledge." A parent or teacher must register their school and report how many students rode their bicycles to school by end-of-day, May 17th. Complete this form to register your school for the Bike to School Day Challenge. About how many students do you anticipate riding their bike to school on May 8, 2019? Make Bike to School Day more fun & exciting for the kids & hand out fun LED light-up safety bracelets & kid-size safety vests. CDTC also has free print materials with tips on how to walk & bike safely. Please complete a request form to reserve your materials now.